This is a good story which is perfectly presented by the reader. I wonder if this book is categorized as Young Adult fiction? That might be an appropriate designation. Although the book deals with the tough topics of child abuse, violence & alcoholism I thought their handling was somewhat sophomoric. 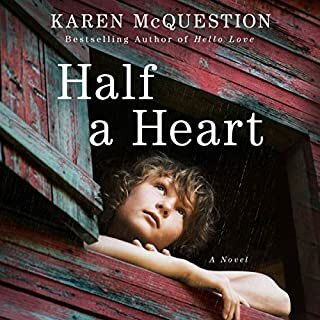 While I enjoyed listening to Half A Heart, the major characters were either all good or all bad, and the direction of the plot was quite predictable. 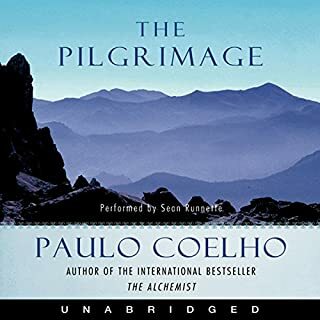 I think Audible listeners will find this to be an entertaining, well constructed story, but the writing & language are neither sophisticated nor nuanced. The Ibis, loaded to its gunwales with a cargo of indentured servants, is in the grip of a cyclone in the Bay of Bengal; among the dozens flailing for survival are Neel, the pampered raja who has been convicted of embezzlement; Paulette, the French orphan masquerading as a deck-hand; and Deeti, the widowed poppy grower fleeing her homeland with her lover, Kalua. The storm also threatens the clipper ship Anahita, groaning with the largest consignment of opium ever to leave India for Canton. 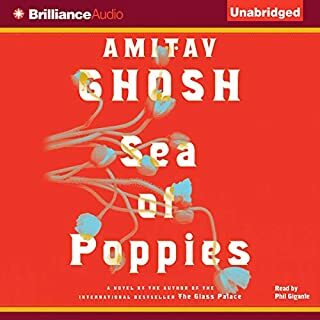 Amitav Ghosh gives the reader a broad, multicultural & entertaining view of life in Asia preceding the Opium Wars.rich view of life in & around Canton and a Brilliant & insightful view of the life & culture which grew around the trade of opium. Gives the reader a fascinating & multifaceted understanding of British colonialism on this period of history & on the world economy . The varied cast of characters and their interwoven activities captivate the reader and lead him irresistibly through the narrative from Sea of Poppies & on through River of Smoke to just before the first of the opium wars.. I can't wait to follow Amitav Ghosh's path onto Flood of Fire. I've read & loved many of this author's books, but this is my favorite so far. As always, the author reveals a great deal about India & it's culture by skillful writing that blends character, plot, setting, etc, but this book about the era of the Opium Wars was particularly intriguing. 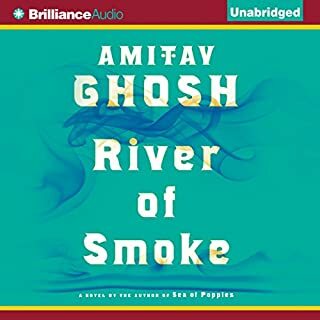 The diverse characters are wonderfully drawn, and Ghosh weaves them together through a capitulating plot which refers to the past and foreshadows future events. At the end of the novel the reader is left content about the outcome yet also eagerly curious about the future. Harry Bosch, better than ever. 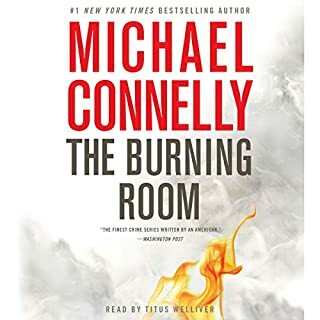 In the Burning Room we find Harry Bosch evolving with the times as he tackles cold cases from 10 & 20 years ago. When a Mariachi player succumbs to complications from a 10 year old gunshot wound Harry is partnered with a young, newly promoted Latina detective to find the perpetrator. The case seems closely tied to important Los Angeles political figures, but how? Meanwhile Harry's eager new partner Lucy seems distracted by a 20 year old arson case which resulted in numerous deaths. Her reasons are personal and compelling enough to get Harry involved. As always Connelly creates a riveting plot peopled by a cast of interesting, multifaceted characters. Rather than fast paced & overly dramatic, the story telling here seems more low key and thoughtful. This fits today's Harry, no longer the stereotypical, hard boiled detective but a more appealing, complex & self reflective older man. Without Iosing his penetrating detective skills, Harry is aging gracefully. I haven't listened to a Harry Bosch who-dunnit in awhile, and I found the deliberative pace & natural quality of this reader's rendition both engaging and appropriate. An enjoyable and captivating listen.